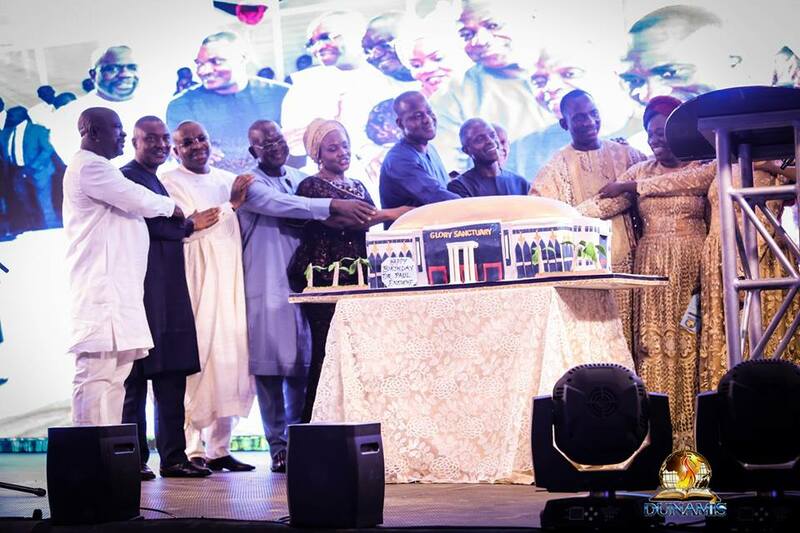 [Photos] Osinbajo, Oyedepo, Others At Dr. Paul Enenche's 50th Birthday Celebration! – Dr. Paul Enenche celebrates 50th birthday with glitz! Presiding Bishop of Living Faith Worldwide, Bishop David Oyedepo, Acting President, Yemi Osinbajo, Yakubu Dogara, Speaker, House of Reps, Samuel Ortom, Benue State governor and many others were among the dignitaries that stormed Abuja on Monday for the 50th birthday anniversary of Dr. Paul Enenche of Dunamis International Gospel Centre. Also among those who graced the occasion were Emmanuel Udom of Akwa Ibom State, Prof Jerry Gana, Major Generals Lawrence Onoja and John Enenche, Emmanuel Kure, Gen Yakubu Gowon, ably represented, Anyim Pius Anyim, Bishop David Abioye and wife, Honourable Labaran Maku, Prof Jerry Agada as well as envoys from Zambia and Namabia. In his speech, Bishop Oyedepo told his protege that the best was yet to come, acting president, Yemi Osinbajo described Dr. Enenche and his wife, Dr. Becky as tireless workers in God’s vineyard. He extolled them for their humanitarian outreaches. Pastor Enoch Adeboye in a special audio message hailed Dr Enenche for his labour in the vineyard.